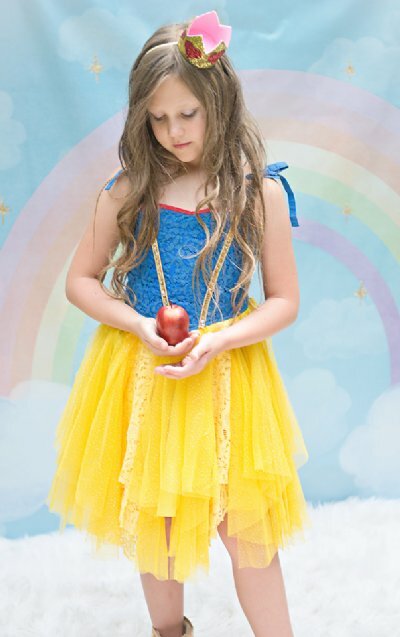 Enchanted Snow White Dress . Adorable Shabby Chic princess dress with adjustable tie straps and layers of lace, tulle and fabric make up the adorable twirl skirt. Great for Disney Vacations, Birthdays and Halloween!